As you probably have heard by now, Historic Ellicott City, a charming, quaint, vibrant, beloved town, some 244 years-old and counting, suffered a devastating flash flood on Saturday, July 30. Restaurants, stores and businesses were demolished in the raging floods brought on by 5.9 inches of rain in two hours. The normal river flow of 60 cubic feet of water per second escalated to 21,000 cubic feet per second … like that! People tell stories of sitting in their apartments, enjoying a nice dinner at a restaurant, or serving customers in a retail shop on a rainy evening when suddenly paintings started falling off the walls, buildings started to shake and water rose quickly from the floorboards into their buildings. Dozens of cars were carried down the street in the raging waters: 120 daring swift-water rescues were made (including one by my friend David Dempster whose human-chain car rescue of a stranded woman was videotaped and has now been seen over a million times). Over 200 buildings have been structurally damaged. Some buildings are possibly beyond recovery. Two are likely to collapse. I personally know–as in I’ve been to their house or they’ve been to mine–seven people who own stores and restaurants in the area, and I know as acquaintances and friends a handful of other store and restaurant owners. A friend of my mother’s, someone she’s known for 25 years, is married to someone I know from my childhood. They were on vacation when the flash floods came. They live–nay, lived, past tense–above one of the buildings where collapse is now likely. My father’s office is also in Historic Ellicott City. And while he often works late, the flash flood came on a Saturday night and thankfully he wasn’t at the office. His office is higher up the hill and it suffered less damage than buildings lower. But flooding is flooding, and water damage is water damage. The entire basement of this built-in-1835 building was flooded and the basement steps were covered in a thick, gray, sludge that was still wet ten days after the flood. When allowed in by the county, we’ve gone in (me, my dad and a few amazing friends and helpers) to clear out the soggy, damp, water-damaged and muddy items. The flooding, whether it came from the basement or from the street, penetrated his entire office. His business and operations–while significantly inconvenienced–are recoverable. Unlike so many of the stores and restaurants in the area, he has an office, a land development business, that is not dependent on foot traffic. She opened HorseSpirit Arts Gallery in Historic Ellicott City less than a year ago. She features and sells all and only work from local artists who live in the county. I’ve hosted and attended parties at Robin’s gallery, been to her house, met her for coffee numerous times, and have had her and her husband over to my home. She’s not just a business owner I sort of know. And she’s but one of a handful of owners for whom I could tell similar stories; people I know and care for. She tried to hold the front door shut against the raging waters. Her customers at her gallery had fled to the second story and were begging–screaming–for her to abandon her post and come to higher ground. She finally retreated when the waters reached her armpits and the door frame broke. Not only has she experienced the trauma of witnessing her entire first floor being flooded, having her one-of-a-kind art inventory and store furnishings washed away, but now she has been told that while she had purchased flood insurance, she didn’t have flood insurance for an art gallery and so the insurance company isn’t going to pay anything … even though they knew she owned an art gallery when they sold her the flood insurance. A friend has set up a gofundme page for her. Someone else has gathered all the GoFundMe pages for individuals and businesses impacted by the flash flood. Here’s a radio interview where she describes her experience for those of you aurally oriented. In a flash. In a flash! But how life can change in a flash. Here is the Letter to the Editor that was published in the October 16, 2014, Columbia Flier and Howard County Times. Thanks to these pubs for publishing my letter. I quite like the new banners about town: the ones proclaiming the many accolades earned and “best of” lists made by Columbia, Ellicott City and Howard County. Seein the many banners I was reminded that I live in one of “the most technological counties” in America. And I can imagine the kind of stats that put us there: the number of houses with high-speed internet, the percentage of tech jobs and tech companies in the area, the number of mobile phones per the population base, and so on. And get to know your local candidates even better! Jessie Newburn is a co-founder of HoCoBlogs.com and the #HoCoElections site. 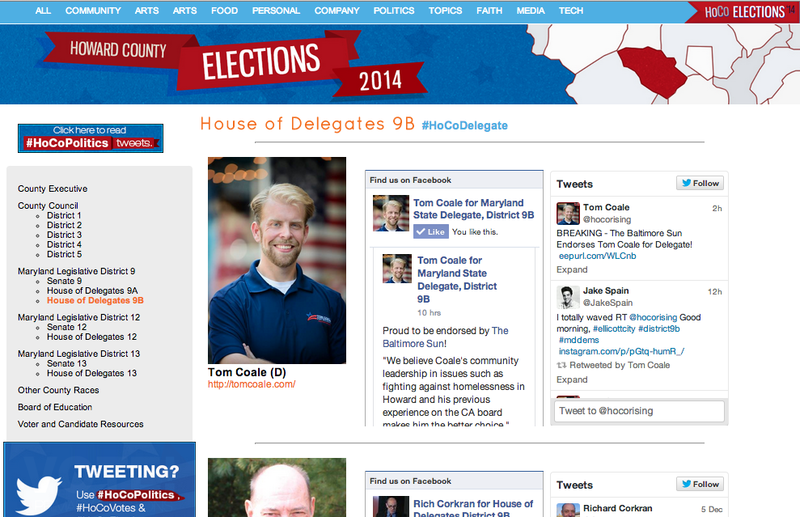 Check out the new HoCoBlogs’ Election 2014 page. Click the hashtags for race-specific Twitter streams. And definitely follow and use #HoCoPolitics! Does this sound like you? It sure is how I was for years; nay, decades. I still find it challenging to differentiate one candidate from another when all I have to go on is their printed election material, which almost always make a candidate look good, reasonable and worthy of my vote. So how do you get to know the candidates? How do you get a sense for who someone is? How do you gain insight, perspective and confidence to vote for the person who seems like the best candidate to you? One way and one angle to gain this perspective is through the candidates’ social media activity in the form of blogs, Facebook updates, tweets and more. In social media, there is usually less vetting of content, more in-the-moment-ness and more opportunity to see into someone’s personality than exists with highly edited and strategic printed campaign mailers. At HoCoBlogs, we’ve pulled together local candidates’ social media activity in a new website: HoCoBlogs’ Election 2014, which you can find atwww.hocoblogs.com/elections2014. Come visit (again and again, we hope) and get to know your candidates. Perhaps, and hopefully, you’ll feel more confident to cast your vote and participate in local elections this year. PS – Yes, we are aware that many a tweak still needs to be made. We wanted to get this site mostly done before the primaries, and we’ll update it after the primaries to reflect the elections. 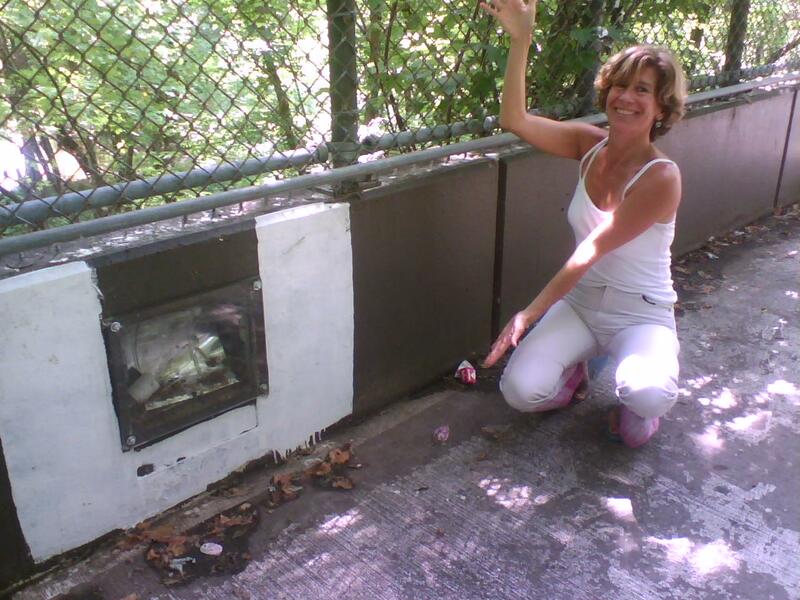 Feel free to send updates and new or corrected info to jessie@hocoblogs.com. I wrote this post the day after Dennis Lane’s death. I didn’t publish it then, posting something shorter instead. His birthday is today, and his life is one I will always celebrate and cherish. I first met Dennis in 1991. It was then that I’d started my first business, Do The Write Thing, and I had not a clue of how to get clients other than by advertising. But I’d heard of the Howard County Chamber of Commerce and someone suggested I attend some of their networking meetings, so I went. I was scared, intimidated, clueless how to show up for the events and — at the time — significantly younger than easily 90% of the Chamber event attendees. But there I met Dennis, and there I met a jovial, welcoming, kind and warm gentleman who always made me feel welcome and included. And as it was, I went to many such events in those early years, saw Dennis once or twice a month and developed a friendship that included some more in-depth conversations over drinks at — yeah, you guessed it — Clyde’s. Our lives continued to cross paths — at the Columbia Business Exchange, being involved in the then-called Columbia Business Monthly newspaper and running into each other at community event after community event. While I have my own version of bubbly-ness and extroversion, I often need to first get grounded to a place and event before I can connect with others. Dennis has for many years and many events been one of my grounding points, making me feel welcome and included. Over the years, I’d see him at coffee shops with a frequency higher than “just random” and we’d often catch up for a few minutes while standing in line together. I’d see him when I was out and about running errands, and we’d stop and talk for a while. Sometimes we’d go out for an impromptu drink after finding each other at an event. Whatever the case and whatever the place, he always seemed to have time for a conversation. When I came back to my hometown, Columbia, after being out of the country for a while, there was this relatively new thing called blogging. I was quietly experimenting on my own and I started to find some local bloggers. One day, I commented on a post by Wordbones (who at that time had not revealed his identity as a blogger, but I was 99% sure it was Dennis). My comment was a snarky one, and I posted anonymously. I emailed him shortly after to say I was back in town and to see if we could get together for lunch. He asked me then, “Hey, did you comment on my blog about (xyz)?” “Yes,” I told him. To which he responded, “I thought that was you! It sounded like you.” And at that exact moment in time, I made a decision. A big one. I decided that I would never post anonymously and that I would take a stand for people owning their own perspectives online, in particular and with passion, when commenting on blogs in a local community. 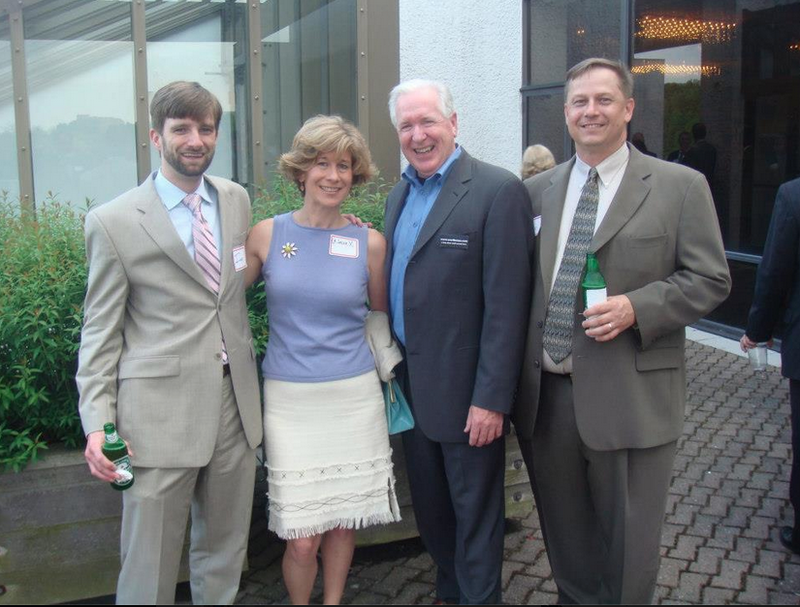 Ian, Me, Dennis and Bill at a Columbia Foundation party several years back. When I decided to create HoCoBlogs.com with Robin Abello, back in 2007, Dennis’s blog, Tales of Two Cities, was one of the most regularly updated, locally focused blogs around. Ian Kennedy’s HayDuke was the other, and there were smatterings of other bloggers, though Dennis held then and continued to hold the spot as the most long-term, consistent local blogger. I couldn’t have — and wouldn’t have — started HoCoBlogs without Dennis as an anchor blogger. We started with about a dozen or so bloggers. Today HoCoBlogs has over 350 Howard County bloggers in its database. Not all active each day or even each month, but all local. And much of what has happened with HoCoBlogs is because Dennis was part of the DNA and seminal energy of our local blogging community forming. He provided, with his writing, his perspective and his personality, a center of gravity. To which, I piped in and said, “And I’m happy to organize it,” and, thus, the HoCoBlogs parties wer born. (We called them blogtail parties at the time._ Nine of us came to the first such gathering and — yes, you guessed it — we met at Clyde’s. Nine became 12. Twelve became 15. Fifteen got stagnant for a while. And one day, after a dreadfully boring party where we all sort of stared at each other in too small of a space for way too long, the parties almost ended. But the blogging community was growing, with Dennis and Tales of Two Cities as a steady — the steadiest — voice in our community. And the parties found their groove and grew. One of the more simple yet of-impact statements Dennis said to me a few years back was this: “I want to make sure that writers get paid.” I remember how deeply this sunk into me when he said it, and it motivated me. I think Dennis always dreamed of a life where he could write professionally, perhaps not full time, but enough so that he could earn a living and provide for his family. He had his profession, his connections, his career and his industry; but if I had to guess, I’d say he’d trade all that in a sec if he could have made his living writing. We — individuals and the community — benefited from his dream because he did love to write, and he loved his community. As others have quoted in their memories of Dennis, his blog profile says, “I live here. I work here. I love this place.” In some ways, Dennis didn’t compromise. He didn’t give up his dream of writing because he couldn’t earn a living at it. He did it anyway. And he wrote a newspaper column. And he did a biweekly podcast. 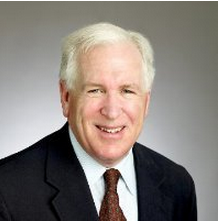 He found his way to be in the world as a business man, community member, board member, friend, advisor, colleague … and he found his voice and a way to express himself while being deeply integrated in the institutions and organizations of our community. He spoke his mind without being mean, and when he didn’t like someone, he was clear about it … and such people made me pause if they didn’t pass the Dennis-o-meter of Good People-ness. When it was time to vote, I read his blog posts, his perspectives and his thoughts, trusting his voice more than I did the local newspaper recommendations. Day in and day out, I read his posts. I came to know him even more, in the way that many people who read his blog did… we followed the community through his eyes and felt the ups and downs of his own life. And then, yesterday, Friday, May 10th, he died. That’s what I heard first, that Dennis was dead. (Sad!) Then in the tweets and Facebook updates and news updates, I heard he had been killed. (Shock!) Then I read a tweet that used the M word, “murder.” (Tragedy!) I’m not going to process my feelings here in this blog because I don’t even know what to say. I can tell you my experience though. There was a gathering. A spontaneous gathering of others in shock. Yes — you guessed it — they went to Clyde’s. Out of town for the earlier part of the day, when I walked in, I was greeted by an open half circle of people facing the door. On each person’s face and in their hearts was the shock, the sadness, the grief. Usually at bars, groups of people face in to each other. They put their backs to the outside and form an enclosing. With this gathering, it was more like a basket, an opening, a welcoming into the circle of people united in their love of community and their love for one of our greatest citizens. In this group, I felt welcomed and included. 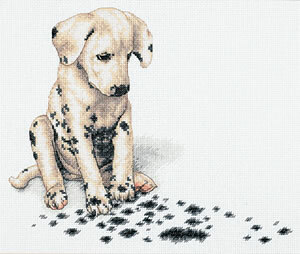 And time after time, story after story, I heard the same common denominator, the same thread. People who didn’t even know they registered on Dennis’s awareness beyond a hello were often surprised to discover that he knew of their dreams, read their blogs, knew if they had or hadn’t been blogging lately. They told tales of his encouragement and how he motivated them to start blogging, or to pick it up again. And in these stories there was a note that rang true: to a person, each of them felt from Dennis welcomed and included. 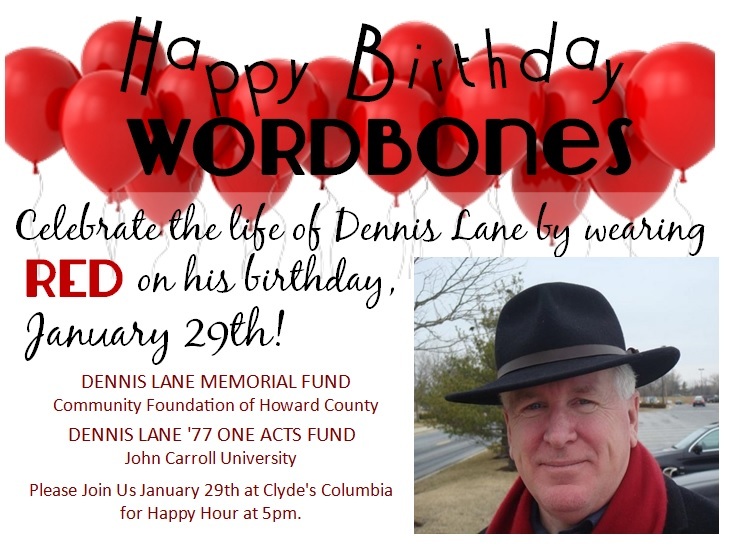 There’s a happy hour in celebration of Dennis’s life tonight. Clyde’s, 5 p.m. I’m sure that when you show up there, you’ll be both welcomed and included. I pine for this day. The day that road salt and stormwater quality are connected in the minds’ of our county’s leaders and those of our citizens. 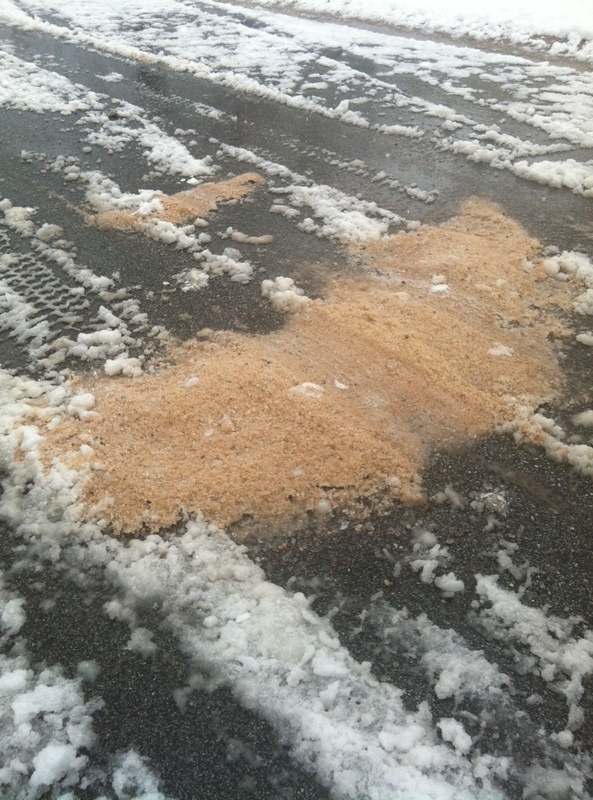 On Mar 25, when it’s expected to rain later in the day, this couple-few-inch-high pile of road salt was dropped by a salt truck on a cul-de-sac with but 14 houses on it. Where I live at this time, in Howard County, Md., the county is in the early stages of implementing storm water fees to pay for state-/fed/whatev-mandated storm water and TMDL fixes. This is a not-small problem. Nor is it a not-small-dollars project. It’s big. I went to a stormwater preso at which the HoCoGov’s new stormwater chief and others spoke; the chief said the county was looking at possible stormwater-related expenses over the next decade or so of upwards of $800 million. Say he was off by a hundred mil or two. It’s still a lot of money. To this stormwater fee and other (probably more extreme) measures in coming years, I say, Amen. Yes, there are times when we need to salt the roads. Of course. 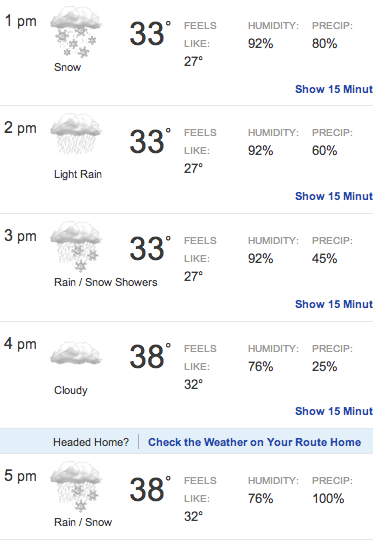 But nearly every time it snows? What has happened to our sense of safety and security that the roads need to be salted so much? Both the volume of road salt and the frequency of salting seems to have increased per inch of snow on the ground. I seem to have noticed in recent years a quicker reflex to salt roads, more salt being used and more disheartening piles of salt dropped by (probably idling) salt trucks. This could be mere perception on my part and factually inaccurate. I don’t know. Today, there’s a beautiful snow outside, it’s already melting on the roads, and there are predictions for rain this afternoon. Yet on the cul-de-sac where I live — where a mere 14 houses exist — a salt truck came by. And left this beauty (see the photo). A whopping pile of salt that has one place to go: down the hill, into the soil, into the streams, then our stormwater management ponds and into our lakes. LEED buildings are great. Solar power is cool. LED light bulbs save money and energy in the long run. And libraries with more natural light are all awesome. Pieces of the puzzle of a “more green” community. But how about being a bit more and blue (water) focused). Road salt, how we use it, how quick we are to use it and the quality of the equipment that applies it are also a part of the equation of being a green community. They deal with it just fine in Mass. I just came from a few weeks’ stay in Concord, Mass., earlier this month where it snowed eight inches in one day and it stayed cold that day, the next and the next. Melting wasn’t much on the agenda. The town doesn’t salt roads there. They plow and sometimes use gravel. I know and trust that there are many factors involved and decision-making matrices re when to plow, salt, not plow, not salt. And I get that as a citizen I don’t understand what that looks like from a front-row seat. What I do know, is that as a citizen, I’m concerned that today’s “solutions” seem to be co-creating tomorrow’s costly problems, particularly vis-a-vis road salt, soil health, stormwater run-off and that funny abbreviation that fed and state agencies are now taking quite seriously: TMDL. 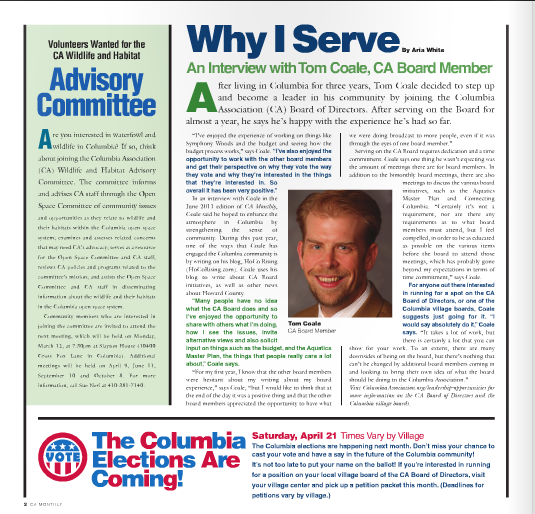 I have many an opinion about the make-up of the Columbia Association’s board of directors, village leadership and developing local leaders. But that’s another post for another day. 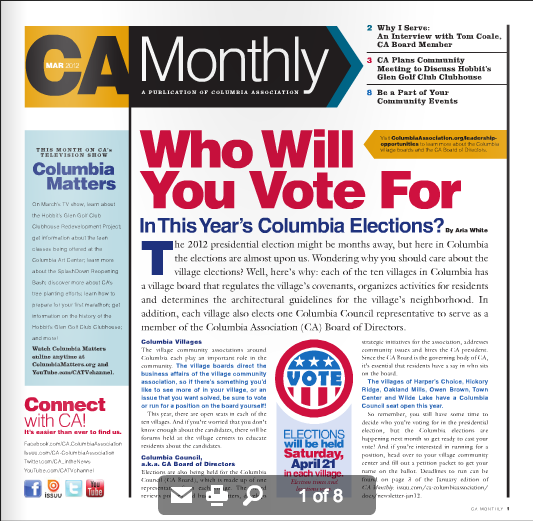 For now, I’m going to chronicle what CA did in 2012 to promote and support local leadership. Perhaps this will serve as a guide and path for others to follow. Hope springs eternal. Encouraged village managers to list their board and CCR positions in the Howard County Board Connect site. 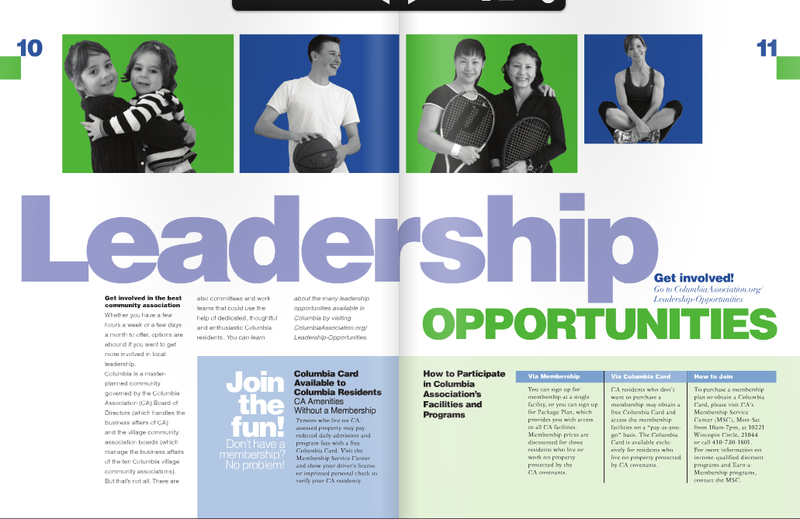 Added a two-page spread on leadership opportunities to the CA at a Glance annual mailing. And held numerous free, well-publicized Lunch & Learn sessions about social media, communications and citizen engagement to which all the village managers, their staff, their volunteers and their boards were invited. The tools, the ads, the plans, the strategies, the systems and the knowledge for how to rock communications about the village elections, getting involved in local leadership and voting have all been layered into CA and shared with the villages. I’m sure this list can be improved upon in coming years. As I said, hope springs eternal. As if Twitter wasn’t confusing enough for most people! There’s grammar, etiquette and a sophistication that belies the 140 character world of Tweets, RTs, @s, DMs and those prevalent-yet-mysterious hashtags. #Hashtags! What are they? Why use them? In short: Hashtags create an organizing system among the 400 million+ tweets sent each day. Think of them as an decentralized and highly useful system in which millions of people can “file” information so that others looking for specific information can find it. Reasonable enough. So what does this have to do with Howard County, or any community for that matter? Most people’s “worlds” are very local. Despite interests in myriad hobbies, a fascination with international news or a focus on one’s professions humans live mostly in the world they themselves physically touch. And on another layer, the world that is touched/experienced by their social networks. While involvement in local organizations, local politics and local affairs varies from person to person, local events are important to everyone at a physical survival level. And this is where Twitter and local hashtags becomes interesting and valuable. In terms of technology, I offer that Twitter provides one of the fastest ways to move specific information inside of loosely defined networks. This may not seem to be a big deal, right? So what if a hashtag we like to use in our community — #HoCo — gets flooded with #HoCo/homecoming-related tweets. Well, on one hand, yeah, so what. Yet what if in that same week there were a natural disaster in our neck of the woods and our community was accustomed to adding #HoCo to a Tweet to indicate Howard County, Maryland. Do you see the problem? We, as a community, would be sending info and tweets out that were meant for a local audience, yet our own messages would be most likely drowned out in a sea of teen’s tweets. And hashtags are all about organizing information inside on an unordered world, so what we do now, layers in and creates a system of intelligence and thoughtfulness that’s in place when we need it. Think back on Hurricane Sandy. As the storm approached, most everyone was very interested in what was happening right outside their homes and in their communities, regardless of whether they gave a hoot the day prior about the Board of Education or a zoning change in the county. People live locally on a level of physical survival. As the local Twitter stream and tweets about the hurricane started coming in, people were suddenly looking for immediate and hyper-local information: information more immediate than any newspaper could produce and more local than the TV stations could deliver. Enter, social media, and more specifically Twitter and local hashtags. But in those tweets, well-intentioned as they were, the difference between a tweet with the hashtag #Hurricane, or #Sandy, or #MDSandy or #HoCoSandy suddenly made a huge difference as to whether someone’s locally focused tweet was reaching the best possible audience (those for whom the information was relevant). And while many a tweet — mine own among them — are often frivolous, information about a super storm, road closings, facility closings, floods and such have more importance and a wider potential audience tuning in. If you look at the two screen captures of tweets in this blog post, you’ll see the difference a local hashtag created, shared and used can make. The top image is some results for #HoCoSandy. Here you see tweets from the Columbia Patch, County Executive Ulman, Luke (a reporter at the Columbia Flier) and and other local people. The other screen capture — the one for #HurricaneSandy — has tweets from all over the place; none of them local or locally relevant that I can discern. A significant challenge with a community’s emergency preparedness (and a government’s and local institutions’) is that the time to prepare for an emergency is before it happens. Nothing new there, right? So how, as a community, do we prepare now to be ready to disseminate information wisely and thoughtfully when the need is more dire? I offer that the answer is found in the developing the discipline (and eventually the habit) of using local hashtags. Use them for the mundane. For the unimportant. For the fun and engaging. #HoCoSushi, #HoCoMoms, #HoCoFood. But use them. Use them for news, updates and announcements: #HoCoSchools, #HoCoDeals, #HoCoVote. Be playful. Be serious. Be thoughtful. Be wise. But use them. With the help and input of some friends, bloggers and the Fire Department, I’ve created a first round compilation of local hashtags to use. There are a LOT of them listed here. There’s no requirement to use them, of course. And perhaps (and probably) there are better hashtags to use in many of the cases here. Perhaps the community-wide list someday will be five times larger; perhaps it will be chopped by a third. I don’t know what’s best. I do know that local hashtags are important and will become increasingly important, and the time to figure out how to use them well and wisely is now. Take a look! And try them out. If you’ve yet to do so, I encourage you to follow @HoCoBlogs on Twitter. I remember the first time I gave money to a large organization. I was happy I did it. I benefited from their do-gooded-ness, and even though my own finances were rather tight at the time, I’d decided this org was one I wanted to help fund. I also remember how disheartening it was to get mailing after mailing from them, soliciting more and more money. At one point, I wondered how much of my money went to actual programming and how much was funneled back into the fundraising arm of the org. I notice that I’m more interested in opportunities where my contribution can be experienced and valued more specifically. As such, it’s been very easy for me to support Tapulanga Foundation, a small school (and community organization) in a rural village in the Philippines. The foundation is also run by a friend, Robin Abello, and his sister Mimic, who is on-site at the school. For those of you who know hocoblogs.com, Robin is my “co” in this venture. If this type of donation appeals to you and/or you wish to express your appreciation for hocoblogs and the community created around it, I encourage you to check out how you can support Tapulanga Foundation. The Silent Gen are moving into elder-elderhood. Born 1924 – 1942, they are 68-86 years old in 2010, and their numbers, per the U.S. Census, are about 30 million. Their archetype’s principal endowments are in the realm of pluralism, expertise and due process. This is the true Civil Rights generation that fought for rights from a perspective of sensitivity to the weaker among the community. The Millennial Gen is moving into young adulthood. Born 1982-2004(ish), they are 6-28 years old in 2010, and their numbers are about 80 million. Their archetype’s principal endowments are in the realm of community, affluence and technology. They are a bright, upbeat, team-working generation. The Homeland Gen is being born now and just entering the K-8 system. They will, assuming the generational cycles repeat, have a life course that is similar to the Silent Gen.
All the quoted text in this post, by the way, is from Strauss and Howe’s work, e.g. Lifecourse Associates. So, let’s look at “civility and democracy” through this lens … not just that there are generations, but in which phase of life each generation has been, and how it will impact the phase of life it is now moving into and the surrounding generations. In the past 25 years, Boomers were the primary gen in mid-life. Mid-life is about power. Think about it: it’s the 42-62-years-old people. Families are mostly started and kids, if they are still young, are typically in elementary school or beyond. School is done. Professional capacity and community leadership are realms of directed energy for many in mid-life. Boomers in midlife, per @lifecourse, “preach a downbeat, values-fixated ethic of moral conviction.” In other words, they are argumentative, passionate, focused on their values (one does not negotiate “values”) and more interested in their convictions than they are in solutions. To have even talked of civility in democracy while Boomers were in midlife would have been an argument, in and of itself, about whose values were more civil. In the past 25 years, GenXers were the primary gen in young adulthood. Young adulthood is about vitality, about serving institutions with energy and the excitement of a life to be experienced. GenXers in young adulthood are “brazen free agents, lending their pragmatism and independence to an era of growing social turmoil.” To have asked GenXers in young adulthood to speak of civility in democracy would have been seen as a joke. GenXers are not trusting of institutions, by and large, to do right by them as individuals or as a generation and, therefore, do not put a lot of faith in democracy and governments to solve problems. Nor would GenXers compete in Boomer turf to gain voice at that phase of life. Boomers were simply too culturally dominant then, both by phase of life and certainty that their values were more relevant and needing to be heard. In the past 25 years, Millennials were the primary gen in childhood and have been “nurtured with increasing protection by pessimistic adults in an insecure environment.” Millennials in childhood have grown up believing that government is good. All they have to do is turn on the news to hear campaigning politicians proclaim that they are a more child-friendly candidate than their opponent. In their childhood years they experienced a stream of increasing child-focused programs and initiatives being funded. They have no memory of Civil Rights tensions, nor of the contentiousness around the Viet Nam war-skirmish-geopoltical maneuver. They have watched their next-elder GenXers scramble and tumble through McJobs, unreliable contract work and extreme sports-behaviors-attitudes that are a bit too edgy for their tastes. Today, Boomers are moving into elderhood where they “push to resolve ever-deepening moral choices, setting the stage for the secular goals of the young.” In other words, Boomers (will) finally have a moment of realizing as a generation that they are the elders and that their legacy as generation is perilously close to being abysmal. And Boomers are about their moral legacy, so this dawning sense that their moralistic rants and red-state-blue-state politics are putting in peril not just the nation, not just the rising generation of young adulthoods (their beloved Millennials), but their l-e-g-a-c-y, as well … this is the wake-up call for Boomers to self-correct and align in a more civil, go-forward direction that is — while not-less-moral — less polarizing. Or perhaps I should say, the Boomers who wish to have their voices included in the coming dialogue about where our nation is going will do so. Those who continue to polarize will be marginalized, which will be a system-shocker for those Boomers who’ve come to believe that polarizing is how to get attention/focus/dollars. Today, GenXers are moving into midlife with the first POTUS of this generation currently in power. GenXers in midlife “apply toughness and resolution to defend society while safeguarding the interests of the young.” The challenge for GenXers in midlife — long at the edge, the extremes, the fringes — is to come in to power structures, bring their capacities to solve problems without all the bantering around moral direction and vision that Boomers have done, and to force change toward fixing broken systems, businesses, governments and more. GenXers in young adulthood have been a cranky generation, a grunge-y generation, a leave-me-alone generation. To be included in the public conversation about what needs to be changed and how it will be done, GenXers need to release much of their crankiness and instead lead and make things happen. Now, are generations the only influence making “civility and democracy” a timely issue? No, of course not. But generational theory does provide some clues as to why “civility” is becoming a more a desired and important value at this point and time. It is time to be civil once again in democracy and politics. Or at least for civility to start to have a stronger toehold in the conversations. Nobody except Boomers cares about Boomer values wars anymore, and, I’d add, some Boomers are growing tired of the same-ol-same-ol from their generation. Nobody cares about GenX crankiness anymore, except equally cranky GenXers. And Millennials are showing up in jobs, in politics, in communities and in organizations, believing that life and work and community and governance can all be balanced and good. It won’t change overnight, for sure, but — and perhaps — a bit more civility will get us there faster. I’m a big believer in social capital and the power we each wield as bloggers in helping those in our network be more connected and relevant. Take a look at the amazing work we did — individually and together — as a community of bloggers. The document I link to is a wrap-up of the Pure Wine Cafe party activity I could find in the blog, twitter, facebook, foursquare and event software realms. Big thanks to each of you who helped make this party one of the best ever. Whether you tweeted about it, told a friend, showed up and participated, or commented on another bloggers’ site, thank you, thank you, thank you! Hocoblogs is a site for all people who LIVE in Howard County to post their blogs and connect with other bloggers. Please help us identify and populate this site with local bloggers (regardless of their blogs subject matter) and invite your friends, colleagues and neighbors to submit their blog on www.hocoblogs.com. And check in — and participate where you can — in Hocomojo‘s site, too! They’re doing great work and are an interesting add-on to the community conversation. Back in my early days of blogging, I aimed to have a local blog; hence, the url my blog still has today: hometown-columbia.com. In those early days, I wrote much of local issues as I saw and framed them, and many people — those I knew and those I didn’t — commented and engaged in the conversation on my blog. And, in those early days, one day I had a most interesting and thoughtful comment from someone named Frank Hecker. I’d never heard of Frank Hecker. I’d never met Frank Hecker. But I wanted to. I wrote back to him. We shared a few email exchanges. He commented a few more times, and we got to know each other a bit better … to the point where I wanted to meet him face to face. Frank is a busy man. He’s got a family, a significant job in the tech sphere and a life to lead. He’s a quiet person. He’s not the kind of person the movers and shakers of the local community would ever know if Frank’s only voice and way to connect was one that required getting out, schmoozing, signing petitions and sitting in long, boring-*ss public meetings where so many attendees seem content to get their three-minutes at the mic to say their piece. Nope, he’s not that kind of guy. Yet and still, his voice, his thinking, his problem solving, his concern and his willingness to thoughtfully sort his perspective and communicate it in a clear way is an addition to the conversation in and around the community of Howard County. Frank Hecker is one of the most interesting of men I’ve met in the last few years. To the anonymous commenters of Howard County. I recommend reading the piece. Perhaps, you’ll like his writing and his thinking. Perhaps not. I, for one, consider him one of the most interesting of men, and I hope more local bloggers will “choose civility” and — at a minimum — adopt an approach to comments that require people to either use an online identity or use a comment identity tracking system such HocoRising is doing by using DISQUS. So, I had to say that. Yes to the concept. Boo-hiss to the deliverer/delivery/organization/culture/system/tools. Will somebody please wrest this beast to the ground and force it to evolve or die? In the meantime, it’s available for use inside the local community for moving physical items around in a free exchange. For years, right around April 1st, I’d develop the most overwhelming allergies. And, if you’ve ever heard me sneeze, you’re likely not to forget. I’m one of those insanely loud sneezers. I’m thinking this comes from a dinner conversation one evening when I was in elementary school. I remember asking my mom, an R.N., why some people made little sneeze noises and other people made bigger ones. She explained that a sneeze was functional and provided the oomph for the body to rid itself of detritus and other goobery things in ze nose. Upon that explanation, I believe I gave myself full permission to do as needs done, and I sneeze very loudly. But I digress, as I often do. Well, several years back, I had a wonderful opportunity to try acupuncture for the first time in my life. My appointment was in the winter. Come that spring, my allergies were close to nil. And since then, I go back for seasonal adjustments, especially winter into spring and summer into fall. If you’re in the hoco area, I heartily recommend Laura Mueller for acupuncture. I find her kind, attentive, gentle (even while pricking me, imagine that), wise and wonderfully capable in her art. She does a number of other things, too, and works in a bit of cranial-sacral work and other modalities as need be. All in all, not only are my appointments enjoyable, but my results have been great. Recently, I had the opportunity to have a Bowen treatment at Bodywise Physical Therapy off of Broken Land Parkway. I blogged about it a few months back and recommend their services as well. I had a lovely treatment and know that they offer a diversity of services, too. Oh, and remember: aim to sneeze into the crook of your elbow (but not your hands) when you sneeze. Da POTUS thinks it’s a good idea, too. This was fun. At this evening’s Hoco BlogTail party, @annathema showed up with her sweet baby Linnea and handsome husband, Roger. Anne/@annathema recently blogged about iphone apps a new mom needs. And her blog garnered her an interview in an article about moms and tech. Tonight, Linnea was a natch when presented with the iphone. Her little fingers on the screen, she opened apps, moved them around and basically seemed to get the touch-and-slide approach to iphone navigation. Given her mother’s proclivity toward geekiness, efficiency and the iphone, I’m not surprised. Handsome Husband Roger adds not to the inherent tech-savvy of Linnea, but her adroitnessness with her hands. Roger runs a remodeling business in Howard County and has deep roots as a skilled carpenter. He’s your man for remodeling projects. A reader of the hocoblogs? Kindly, if you would, consider a donation to Tapulanga Foundation. Robin Abello, one of the founders of hocoblogs, works diligently with his sister, who is in The Philippines and running a school there, to raise funds for a school scholarship program, a micro-credit program and a health-care program. In addition to your supporting a local man doing a world of good, you can be in relationship to this group without getting lost in a mega-organization where mega portions of your donations go to raise more money. (Only 3% at Tapulanga.) 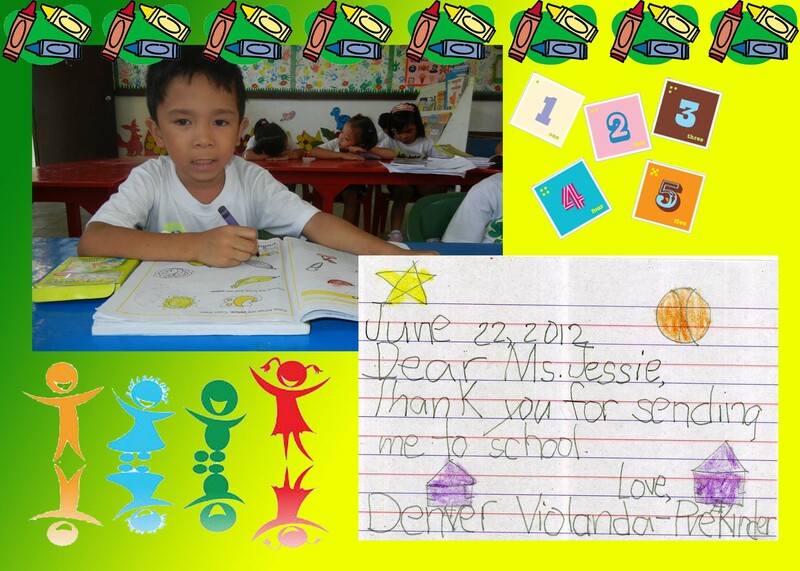 This is a small-scale org providing direct and specific benefit to the people in a specific region of The Phillipines. Their annual event/dinner/silent auction is coming up Sept 20th. I often go. The people are friendly and the food is interesting. Plus, one of the items highly coveted and available is a Macbook Pro, possibly yours for a $25 raffle ticket, which you can conveniently purchase online. Trenchant observations … Smart and spry. While I spoke to the Sun reporter in late December or early Jan, and the photographer came to our January HocoBlogs party, I found it quite interesting that the article ran the same week the Balt Sun just laid off another round of folk (60 people this time). Interesting timing, ja? Not sure if it was conscious and specific, or just one of the juxtapositions of events that makes life a fascinating treasure hunt for meaning and connection. I also found it interesting that while listing a number of bloggers and their website, the online version of the story included no links. Fer real. No links to outside content. Now, here’s an article about blogs, Web 2.0, connections, right. And the Balt Sun folk, dying on the vine, can’t muster the courage to trust that their audience will come back to their site if they provide links to content other than theirs. And one more thing, the Sun sent a professional photographer to our event. I’m sure at least a dozen pics of the hundred-plus she took turned out great. She’s a professional, right? Yet the article only included links to the two pics: the same two featured in the print version. That’s just sad. People like pictures. Pictures tell stories.Traditional journalism is getting kicked in the *ss, in part, because it insists on continuing to deliver what is not highly desired by the market today. Now, while I doubt few would advocate for the wholesale loss of journalism as an art form and business, I find myself less and less interested in the adamant insistence that the industry stay as it’s been. And, yo, read your generational theory stuff. You’ll get what you need there, but here’s the short version: GenXers are the gen ascending into mid-life. Whatever gen is in mid-life holds cultural dominance, regardless of whether you like it. GenXers want real-now-functional-practical info, and for journalism, much of that need translates to hyper-local, real-time, access-it-anywhere news that is highly customized and personalized to the reader’s specific and individual interests. Sorry to be the breaker of bad news, but haven’t you all figured out by now that your current model isn’t working? Anyway, remembering my manners after my minor rant, many thanks to the Sun for running the article. And, please, join us in the world of hyper-local news. We need you to survive. But you guys (read: BOOMER-dominated media organizations) won’t ever make it unless you understand that we (read: GENX-I’ll-do-what-I-need-to-do-regardless-of-how-much-you-stand-in-my-way individuals) have an equal, if not — dare I say — more important voice to express at this time in this age. Well, that’s just my two cents, in any case. 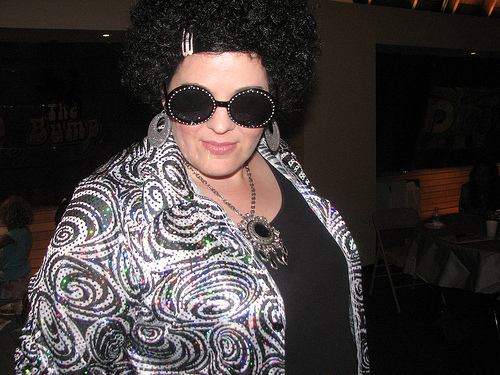 I had a great time at the OM Disco Night party, this past Saturday. 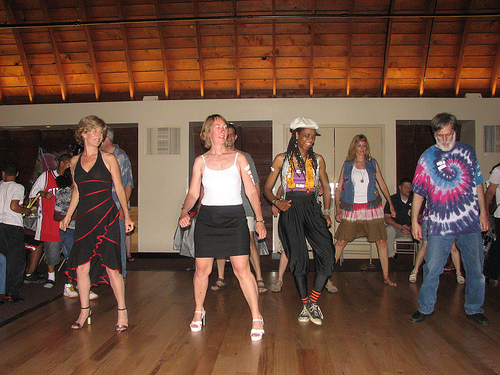 For all that the ’70s didn’t produce, at least the decade gave us disco! I find the music so danceable! Plus, as being dressed thematically for the night’s event was encouraged, I found it easy to be playful and dance happy. Here’s Meg, Mary Kate’s sister, and the third prize winner in the fashion contest. 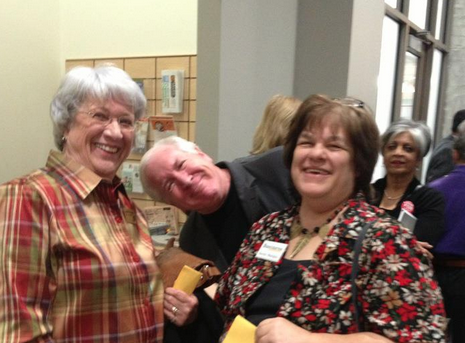 And, yes, that’s JessieX on the far left of the pic and local blogger Heather to my left. The only thing I regret about the night is that I didn’t get a close up photo of my shoes. My front strap was covered in small squares of mirrors; the shoes literally cast moving flickers of light on my legs as I moved. Disco Rules!!!! Here we are learning The Hustle from the good people at Arthur Murray Dance Studio in Columbia. Other local bloggers spotted: Dave of Hedgehog Report (thanks for the beer); Anne of Annethologie; and Ilana of Yaks and Snaks. A gardener’s paradise on Freecycle ? I think it would be just grand if there was a Gardeners’ Paradise on Freecycle. A site just for perennial plants wanted and given. A site where people could find homes for (as opposed to The Dump, aka Alpha Ridge Landfill) their unwanted hardscape. A place where neighbors could help neighbors beautify their yards and gardens … for free. Freecycle is great, but there’s just tooooo much stuff there. There’s no sorting or tagging of information. So, a person in Steven’s Forest who is hoping to find some free perennials has to sort through baby coupon offers, kids books, a cat carrier, ostrich cowboy boots in size 12.5 and all sorts of other items. Even if they find free perennials, they might have to drive out to Dayton to get them. I have some further ideas for how this could be implemented. I’m talking about a hyper-local service here. Post a note in the comments section if you want to take this concept up a notch. In the meantime, this weekend, in that brief period of time when it was actually sunny and warm, I dug up several dozen medium-sized, green-leafed hostas and some yellow heirloom irises. Free on the Columbia, Md., Freecycle group. I’ve blogged about using Freecycle in our community here and here. 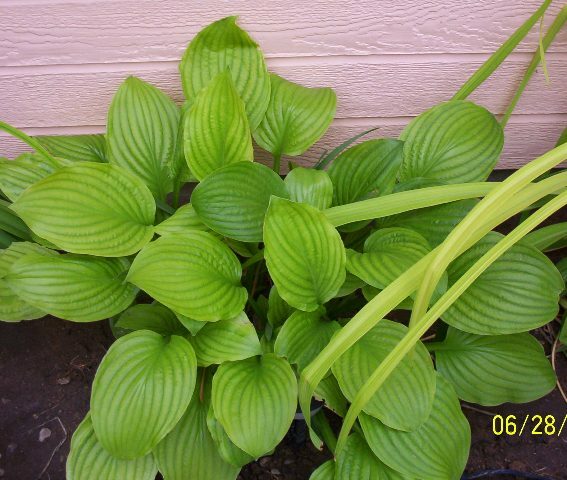 The hostas look like the plants pictured here. I found a quirky, hyper-local group on Facebook; it’s called The Columbia Bike Guy Fan Club, and it has over 1,000 members. I’m one of them. The scoop here is that people take pictures of The Columbia Bike Guy (whose name, btw, is Athar), and then they post the pics on the Facebook group’s site. 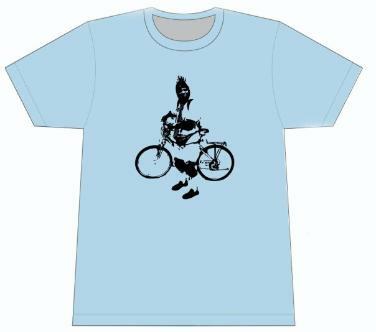 One member has even made a T-shirt that he’s selling on the site; the shirts sell for $15 and $1 goes to Athar. I love Facebook. Love it. This particular group — odd as it is — makes me happy. I see T.C.B.G. around town, often. One of his haunts is one of mine: the East Branch Library, back by the huge windows, magazines and group study tables. He has a bit of “loner” energy about him, and I’ve observed some really strong iterations of his Loner-ness. I find it sweet and wonderful that people locally have found a way to reach out to him and include him. To make him part of our community in a way that, somehow, seems very appropriate and kind. The whole phenomenon makes me smile. If you were to follow illegibly (and elusively) marked path starting near OMVC, and walk down a lovely wooded path, you’d find yourself here: Where East Columbia meets West Columbia. Anyone have any citizen-input type of ideas of how we might do better than this? What I’m highlighting in the picture, below, looked pretty skanky from close-up, where I was.